The first sale of government shares in the Royal Bank of Scotland in August 2015 was well planned and organised and represented value for money. The first sale of government shares in the Royal Bank of Scotland in August 2015 was well planned and organised and represented value for money according to a report by the National Audit Office. In August 2015, the government sold 630 million shares in RBS (5.4% of the bank) to institutional investors, reducing government’s holding to 72.9%(1).The shares sold for 330 pence each. This represented a 2.3% discount to the market price and raised £2.1 billion. This initial disposal of RBS shares was executed at a price that was £1.9bn less than the cost for those shares, which the government acquired for reasons of financial stability and not for the purpose of making a profit. United Kingdom Financial Investments Limited (UKFI), which HM Treasury owns, managed the sale. It began the sales process on a timely basis and took a lead role in preparing for the sale. In September 2014 UKFI started to consider a first sale of the shares as market analyst’s views of RBS began to improve. UKFI provided submissions which included advice on options for a disposal plan, and on the size and timing of individual sales transactions to HM Treasury. UKFI’s advice was often provided jointly with HM Treasury, which it believed to be more efficient, however, there was not always a clear distinction between UKFI’s views and those of HM Treasury despite their different roles in joint submissions. HM Treasury considered a range of issues before beginning this first sale such as the likelihood of government recovering its original investment, and the potential impact on financial stability decision. It sought independent assurance from the Governor of the Bank of England and an independent financial adviser, Rothschild. Prior to the then Chancellor’s 2015 Mansion House speech in which he announced the government would return RBS to the private sector, Rothschild advised HM Treasury on RBS’s value loss, and the implications for a disposal programme. Rothschild later provided an independent opinion to UKFI on the privatisation adviser’s, Goldman Sachs, work. Rothschild’s initial advice adds credibility to the process of such a sizeable first disposal but also increases the cost and duplicates some of UKFI’s functions as independent arm’s length adviser to the government. UKFI reviewed all disposal options and chose the most appropriate one to sell the shares. In the absence of interest from a strategic investor UKFI reviewed the disposal options via the public markets. It concluded, in the NAO’s view correctly, that an accelerated book-build (ABB) was the most appropriate option to achieve the £2 billion sale announced in the 2015 Summer Budget at the lowest possible discount and execution risk. UKFI chose the August 2015 sale window as market conditions were good after RBS’s half year results, and potential investors were supportive. UKFI preferred this window to later options owing to a risk of market deterioration. The market did, in fact, deteriorate after the sale and RBS shares traded below the 330 pence sale price after September 2015. Government’s ‘inside information’ limits sale ‘windows’. 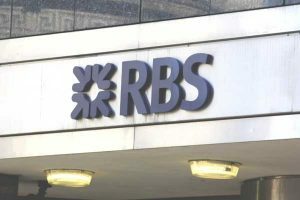 UKFI cannot for legal reasons sell when it is in possession of material non-public information on RBS, for example as a result of its stewardship duties. In addition, for reputational reasons UKFI is unlikely to recommend any sizeable public sale of RBS shares when RBS is in a closed period, which is in the run-up to key financial announcements. Similarly, HM Treasury chooses not to sell in advance of government announcements which may affect the share price, such as in the run-up to the Budget. The 330 pence sale price was within the fair value range, but the range was wide. UKFI’s advisers conducted a comprehensive valuation on a timely basis before the sale. The valuation range was between 177 pence and 488 pence, when RBS traded at 342 pence. This wide range reflected uncertainties about RBS’s future prospects. This range implies a share price upside and downside of 43% and 48% respectively, and was wider than for the Lloyds’ ABB in 2013. This was the first fair value assessment since July 2014. UKFI and its advisers made an adjustment to the fair value calculation which had a conservative bias though did not affect the fair value conclusion. RBS had made provisions of £4.8 billion for various litigation, conduct and regulatory issues. UKFI and its privatisation adviser, Goldman Sachs, estimated a higher provision of £10.4 to £11.8 billion which included an adjustment of £2.9 to £4.3 billion for future conduct charges as a result of a more stringent regulatory environment. UKFI stated that its regular engagement with potential investors supported this approach. UKFI’s second adviser, Rothschild, acknowledged that an adjustment for potential future conduct charges may be appropriate but viewed the size of the adjustment as ‘pessimistic’. A cautious approach to RBS’s future provisions turned out to be appropriate as they were higher than UKFI forecasted at the time of the sale. The demand in the sale was high and UKFI achieved a smaller discount than in recent privatisations. The shares were sold at 330 pence, a 2.3% discount to the 338 pence closing price on the day of the announcement. This was better than the 4% to 7% range advisers’ estimated, and the 4.3% discount of comparable transactions in the previous 12 months. Only 23% of demand came from ‘Tier 1’ priority investor 2 – those who UKFI expected were most likely to form a stable long-term and supportive shareholder. Evidence from the privatisation of Royal Mail demonstrates that priority investors do not always hold for the long term. Considering the uncertainty around RBS’s future prospects, a higher level of participation by Tier 2 and 3 investors is not surprising. The details of the sale leaked into the market about an hour before the official announcement but it had no impact on the sale price. The price achieved was at the top end of the bookrunner’s expectations which were communicated before the leak. UKFI reviewed the amount of short selling in RBS stock before the transaction and concluded that it was not meaningful in relation to the size of the offering and not out of the ordinary relative to RBS’s past levels or those of other UK banks. UKFI negotiated a nominal fee of £1 with its financial advisers but it did not make full use of the contracted services of its former privatisation adviser. The low fees, similar to the Lloyds ABB transaction, reflect competition among financial advisers wishing to work on a high-profile government mandate and involvement in this sale offered an opportunity to gain insights useful in tendering for later, possibly more profitable, transactions. As market conditions change or different types of transactions are used, this low fee may not continue. Prior to appointing Goldman Sachs as privatisation adviser, UKFI employed JP Morgan to provide ongoing strategic advice on privatisations of both Lloyds and RBS but it stopped requesting formal recommendations on RBS in March 2015 although its contract ran on until June. In June 2015 Goldman Sachs were appointed as the new privatisation adviser.